Today’s episode of the podcast is one several case study recordings that will be released as part of Brian’s productized course, along with some more advanced strategies and he’s looking forward to its next release. In today’s episode, Brian talks with Dan Schwartz, a student of his productized course. 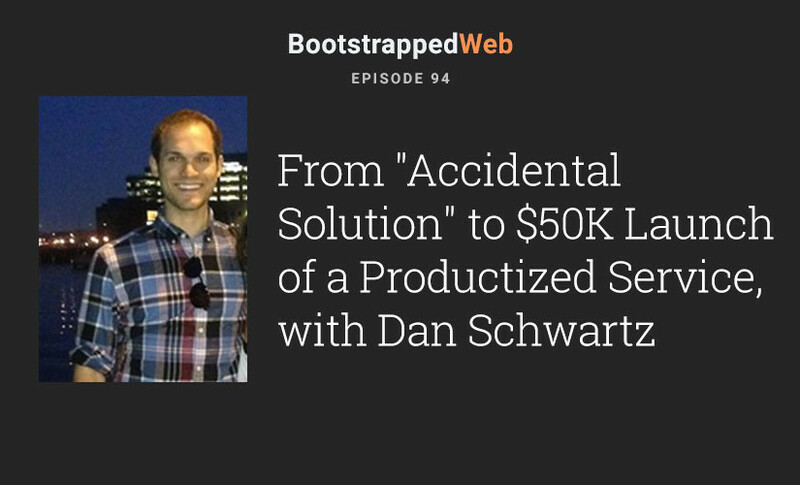 A few months ago, Dan launched a productized service offering that did $50k in sales right out of the gate. He’s repeated that process a couple of times and we’ll talk about how he’s now iterating his early success with the done for you service to build it out as a SASS solution. Dan’s focus is primarily on real estate and using a product called Podio has built the framework of his own business. Dan’s service is targeted at real estate investors and is designed to manage their lead process. The service he sells includes a pre-built platform template on Podio that includes all of the automations that occur within that template via GlobiFlow. The initial demand was more than Dan had anticipated and they were overwhelmed by the sales and need for support. Early on, he hired two assistants who were trained in the platform to ensure that customer needs were met. While it was difficult being mired in customer service issues on a day to day basis, it gave Dan a great opportunity to interact with his customers and get feedback on the product. Visit Realautomation.biz to learn more about Dan’s current service offering. Dan is getting ready to launch Investorfuse.com, the productized service, designed to improve the current offering, with a targeted release date in January. You can also tune into Dan at Dasbeats.net and opt in for his newsletter, email him at Dan@dasbeats.net. Check him out on Facebook at the Investorfuse page. 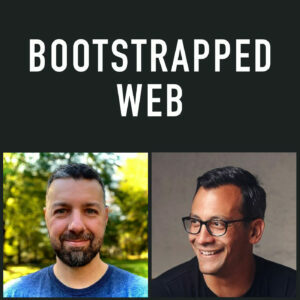 Welcome to this special episode of Bootstrapped Web. 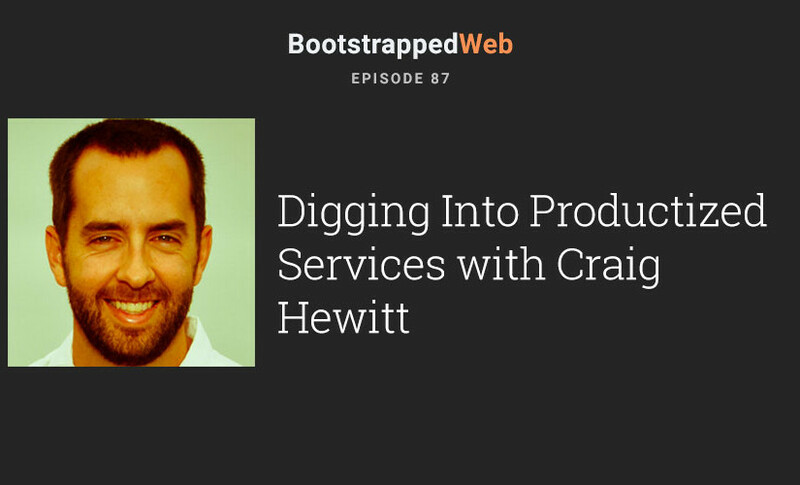 Today Brian is talking with Craig Hewitt, of PodcastMotor and co-host of the Rogue StartUps podcast – this podcast is being dualcast. Both Brian and Craig each operates a productized service business – very similar businesses, doing different things. Both run a production line type of service. From week to week Audience Ops is publishing blog posts and PodcastMotor is publishing podcasts. We’re talking about marketing, hiring, production, everything it takes to run a productized company and the things that make this type of business challenging. A more simple service business would deliver something once or would deliver something that wasn’t so creative. The creative process isn’t always black and white, can be subjective and is a challenging part of the business. Audience Ops creates the content for their clients from start to finish –the research, the topics, and the writing. Each article is unique but the process is standard. Every Monday Audience Ops sends a feedback loop so the client can see the finished work and has seven days to make any edits. With a few days notice, the writers can implement any necessary changes. The important concept here is the process. Standard policies make it easier to manage the workflow. Exceptions cost money. Expectations need to be reasonable. Audience Ops found all of its writers, all U.S. based, through Inbound.org and the Problogger.net job board. Each project manager also has a writing background. For assistants and other types of positions, both Craig and Brian have hired through Upwork and Virtual Staff Finder. It’s a process – vetting and interviewing – Virtual Staff Finder does take some of the legwork by recommending three viable candidates based on your needs but makes the selection pool a little smaller. In addition, hiring and working with non-U.S. employees can be challenging. The tricky part with overseas employees is the huge time difference. It takes a lot to manage. One solution is having your virtual staff work an overnight shift. It costs a bit more but it’s still more cost effective than hiring in the U.S. It’s all part of setting expectations up front. Hiring and working through Upwork is great for part time employees – it does the managing for you. Hubstaff is a good time management solution for U.S. based employees. Scaling a productized service business is a pretty linear progression. The key is to getting good processes in place. You can only be as good as there are good people and number of hours in the day. With a productized service you can launch is as little as a week. You can deliver value immediately. But scaling up is a slower, more methodical process. There are two parts to both productized businesses. There’s the ‘Done for You’ service, which is the one to one value service, and there’s the ‘Tools’ portion that you can feasibly sell to thousands. You can’t do the second without the first. Building a team culture in a distributed team can be tough to get real tangible but if you can do it, it’s optimal all around. Group calls, group chats, one-on-one catch up calls are all ways to team build and share key practices. Its great to be able to compare notes on the details. If you hire the right people, it’s easy to do the work. The tough part is managing the team and the process. It’s your job to grow it.